We need to ask ourselves where all this frenzy for property development is going to lead. I am sure that all those who closely follow Maltese politics will agree with me that we are at present living in what can only be described as an almost surreal situation. We are witnessing the Nationalist Party in self-destruct mode. The PN leader, Adrian Delia, has been totally humiliated by the Simon Busuttil faction within and outside the party. However, the survival of Busuttil within the PN will only serve to continue digging the political grave of the Nationalists. Indeed, one has to be almost masochistic to continue giving a voice within the PN to a person who has led the party to a humiliating electoral defeat in 2017 and who in 2018 has had his political reputation shot to smithereens by the result of the Egrant magisterial inquiry. The totally shambolic situation within the PN has continued to strengthen Labour. Joseph Muscat is at the pinnacle of his political career and the Labour Party is probably in the strongest position it has ever been in since the far-off days of Paul Boffa in 1947. Labour supporters are having a field day taunting PN supporters about the Egrant fallout. However, it is high time that we moved on and, therefore, start concentrating on the challenges ahead. Labour has been enormously successful in addressing macro issues, it is now time to target micro issues. In other words, it would be rewarding to target those areas of everyday life which are of particular interest to the ordinary citizen. Let me start with the problem of enforcing the law. In December, 2017, the Prime Minister publicly stated during a Labour Party activity at Santa Luċija that in the coming years his vision for the Labour Party is that of becoming the law and order movement. The days of one doing exactly as one pleases, oblivious to the law, would be over. The Labour government wanted to send a clear message that it would no longer be tolerating abuses. One can only praise the Prime Minister for his commitment to this laudable ideal. However, several months afterwards, a lot remains to be done in the area of law enforcement. How many times have you been in a queue of cars on the road when some cowboy jumps 20 to 30 cars, driving wrong way, and almost forces the leading car off the road in order to get in at the top of the queue? This is a daily occurrence on our roads. The same applies to truck drivers who stop in the middle of the road to unload, thus bringing traffic to a standstill. Then, of course, one has to mention the daily abuses by property developers; the carnival of blaring of horns by street vendors; the drivers who turn their cars into mobile discos; the vehicles belching black carcinogenic fumes to be swallowed by the drivers behind them; illegal camping sites; commercial encroachment on public land; etc. In other words, acts of indiscipline and contempt for law and order remain an everyday phenomenon in Malta. This is an area where more concrete action by the authorities is required. Then, there is the problem of poverty. Eradicating poverty in Malta has been another area of success for the Labour government. Yet even here, although poverty statistics show that as a result of a sustained effort over the last five years, 16,000 people are no longer at the risk of poverty, we cannot be content even if one single person remains in this condition. This problem has to be tackled in a holistic manner. Where and why is our education system failing some of our children and putting them at the risk of poverty? Are we doing enough to help people with vices such as gambling, which can reduce them to paupers overnight? What constitutes a “living wage” in the realities of contemporary social conditions in Malta? 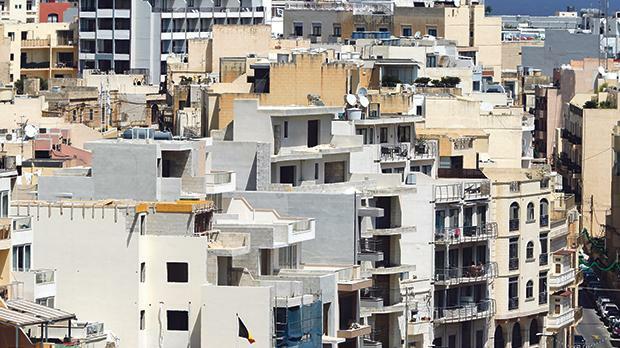 Is the national wealth created reaching all strata of Maltese society or are there pockets of citizens who are not benefiting from such wealth? How can we make more suitably-priced property available to young couples so that they will not be financially burdened for most of their lives? Another great challenge facing the Labour government is that of protecting Malta’s environment. Frankly, this is an area where I feel that more can be done. Most people are utterly fed up with the arrogance and contempt for citizens’ rights exhibited by some property developers. It has come to a point where some developers literally take control of a street for a long period of time while they carry out their work and do absolutely as they please. We have also seen a number of controversial projects being given the official go ahead. We need to ask ourselves where all this frenzy for property development is going to lead. Look at some pictures of Malta in the 1950s and you will realise how much more beautiful and unspoilt our natural environment was before the building boom started and ruined everything. On a positive note, I am glad to say that when, as part of road development projects, trees are being uprooted to ensure a better flow of traffic, others are being planted in different areas of the same project to replace them. Finally, I also think that the image of our country as a place which is relatively safe and hospitable needs to be protected and guaranteed. We have recently witnessed a number of violent crimes which have shocked the nation. We have to ask ourselves which social pressures are leading to such a situation. We also have to be ready to embrace the changes necessary as Malta becomes more and more a cosmopolitan society. We need to examine why, despite all the progress registered in so many areas of daily life, xenophobia remains such a big problem. I have highlighted some of the challenges facing the Labour government at the time of writing. Of course, the biggest problem remains one over which it has no control, namely strengthening Maltese democracy through a strong and effective Opposition. Desmond Zammit Marmarà is a Balzan Labour councillor.